Liam Neeson, who played Qui Gon Jinn in Star Wars: Episode I - The Phantom Menace, was born on this day back in 1952. 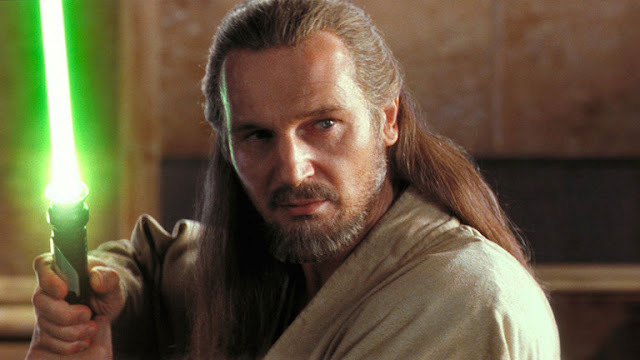 The Northern Ireland actor appeared in just one Star Wars film, although Qui Gon's voice can be heard in Star Wars: Episode II - Attack of the Clones. Qui Gon Jinn was set to re-appear in Star Wars: Episode III - Revenge of the Sith, however Liam Neeson was unable to appear in the film because of a motorcycle injury. Mr. Neeson reprised the role of the Jedi Master in George Lucas' popular animated TV show, Star Wars: The Clone Wars. The 65-year-old starred in the Mortis Trilogy (Season 3) and in the Yoda Arc (Season 6 - Bonus Content), which ended up being the finale of the Clone Wars series. Whilst the Irish born actor was unable to attend Star Wars: Celebration Orlando 2017, he did send in a clip to the noteworthy '40 Years of Star Wars' panel. He pledged his reverence for the films and joked that he would return in a future spin off film which would show the demise of Jar Jar Binks. Would you like to see more of Qui Gon Jinn in future Star Wars stories? Let us know your thoughts in the comments below.